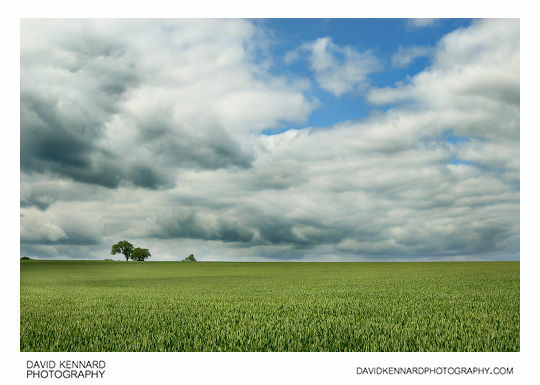 In this tutorial I'll show you how to improve a flat, low contrast photo, to add some 'pop' to it, particularly enhancing the clouds. Below is the original photo when processed through Nikon Capture NX 2 with the default settings. 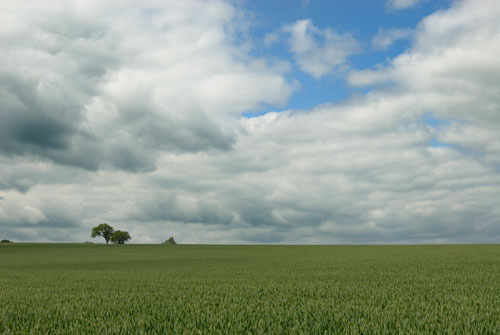 As you can see, it is quite flat, but there is some texture in the clouds that we can try and bring out. If you want to work through this tutorial using the same image, you can download a copy of the NEF file here. Hopefully you will agree that the processed image is better than the original. If you think the effect is too extreme, you can still follow this tutorial to make your images pop, but just dial down the opacity on each of the adjustments so they have less of an effect. Likewise, you can make the adjustments more extreme if that's to your taste. 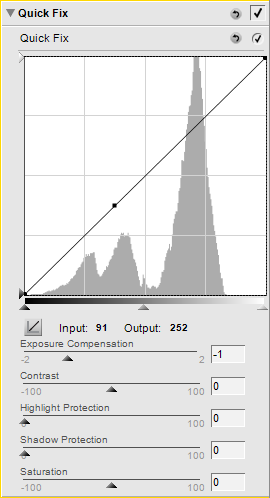 In this tutorial I will be using Nikon Capture NX 2, mainly because of the excellent U-point technology it uses for applying selective adjustments, but also because I am working from a Nikon NEF file, and I prefer to stay in the RAW convertor whenever possible. 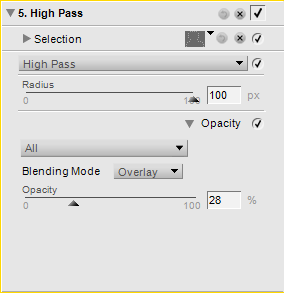 If you don't have Capture NX 2, you can perform the same adjustments in Photoshop, just you will have to paint the selection masks manually instead of using the U-point selections. 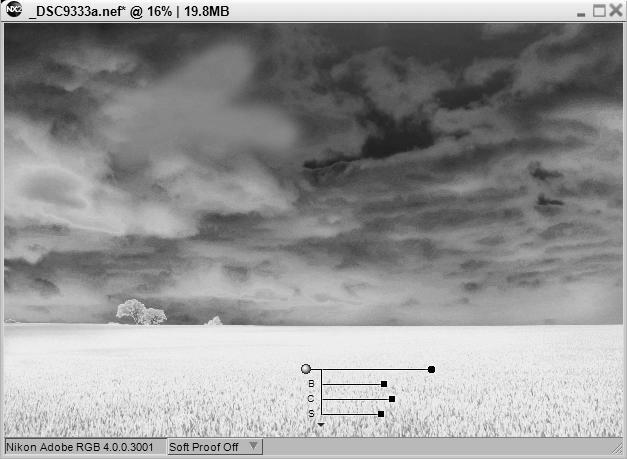 We want to try and add some 'pop' to the clouds, so we start by darkening the image by applying -1 exposure compensation. And the mask looks like below. I used 3 selection control points and also painted out part of the field that was partially selected. Below is what the image looks like now. 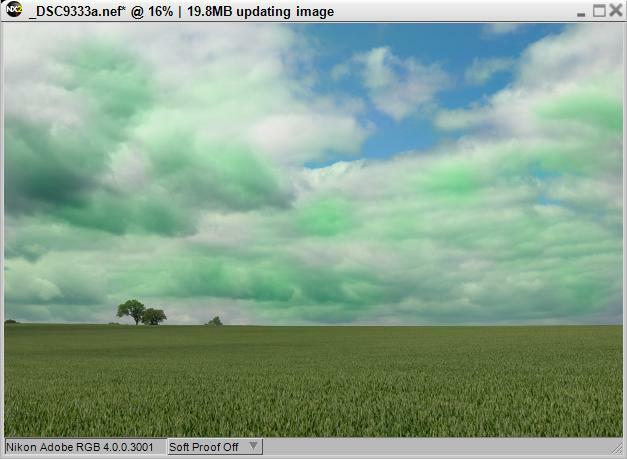 You can see the curves adjustment in overlay blend mode has already added a lot more 'pop' to the clouds, enhancing the clouds' texture. 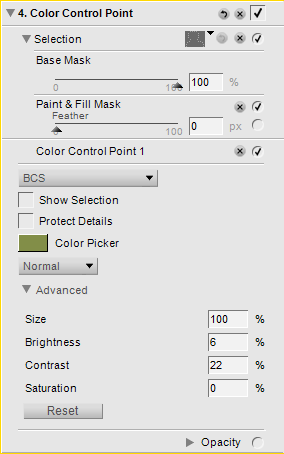 The selection made by the colour control point looks like the below. You can see I also painted out a bit where I thought the adjustment was causing an area of the clouds to blow out. Great sample. Thanks for posting! 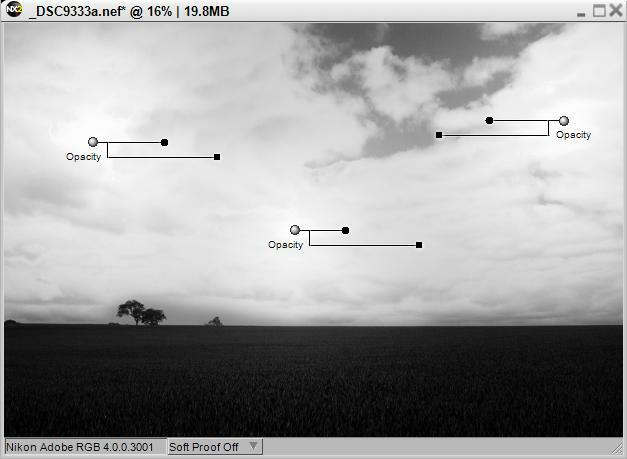 Thank you David for this simple yet deep tutorial – much about NX2 photo-editing can be inferred from it. Thank you for the wonderful post. Detailed with helpful screenshots. Will surely look forward for more tutorials from you. Thank you for the post. It is useful. Thank you for this highly illuminating and comprehensible illustration of some very useful procedures in NX2! Thank you for sharing, very good information. Can you make a portrait tutorial as well? i hate this software. I want to use it because it works in 16 bit but I hate it. Its worthless. All I need to do to my photo is create an alhpa channel selection of the areas I want sharpened. I have duplicated my image and used the curves to make it black and white. I have created my selection. But I cannot copy and save the resulting mask to another photo: it does not work, even when you choose to copy the adjustments and paste them because the one photo is B&W and the other is color so when the mask that worked on the B&W file are applied to the color, it changes?! What retards developed this?! Masking is pretty basic in CNX. If you need to do masking where you’re using a modified image for the mask you’d need to use something like Photoshop instead. You can get a Photoshop plugin from Nik called Viveza that adds control point functionality for brightness, saturation etc. like that found in CNX. I think Nikon might have abandoned CNX now as there hasn’t been a new version in ages.